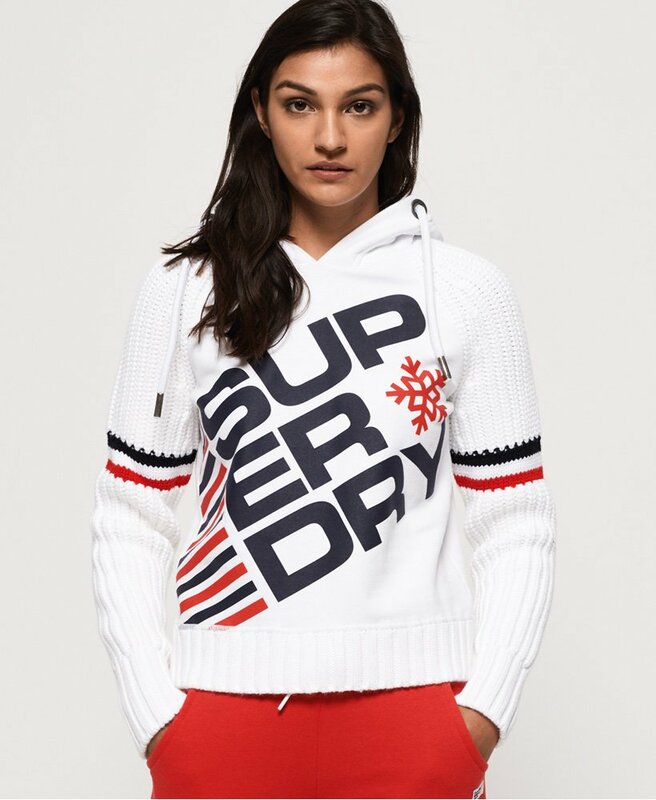 Superdry women’s Winter Sports crop hoodie. A centrepiece for your outfit, this crop hoodie features a drawcord hood, chunky knit sleeves with stripe detailing and ribbed sleeves and hem. The Winter Sports hoodie has a cotton blend body with a large, rubber Superdry logo across. This unique and cosy hoodie is completed with a Nordic inspired design in the hood.